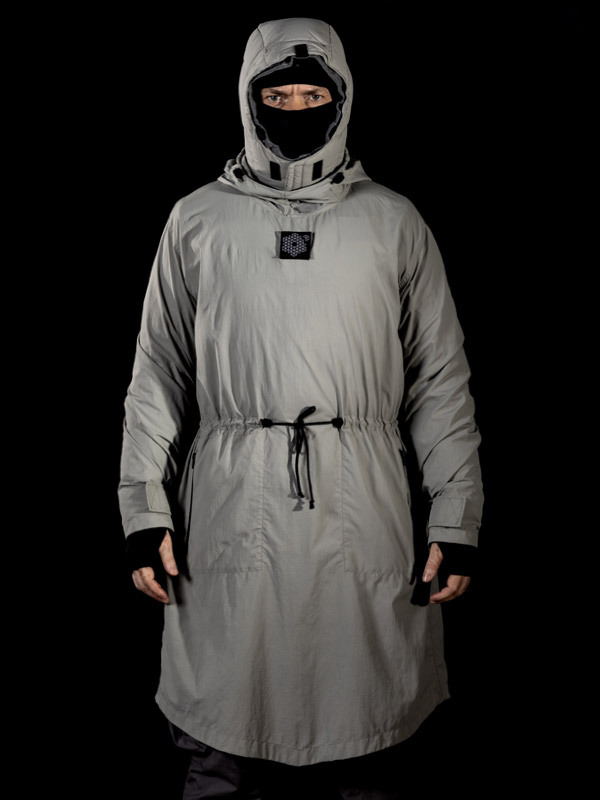 Packable military inspired Mantella Jacket, conceived to interact with the other garments from the Plurimus NO_S09 set. 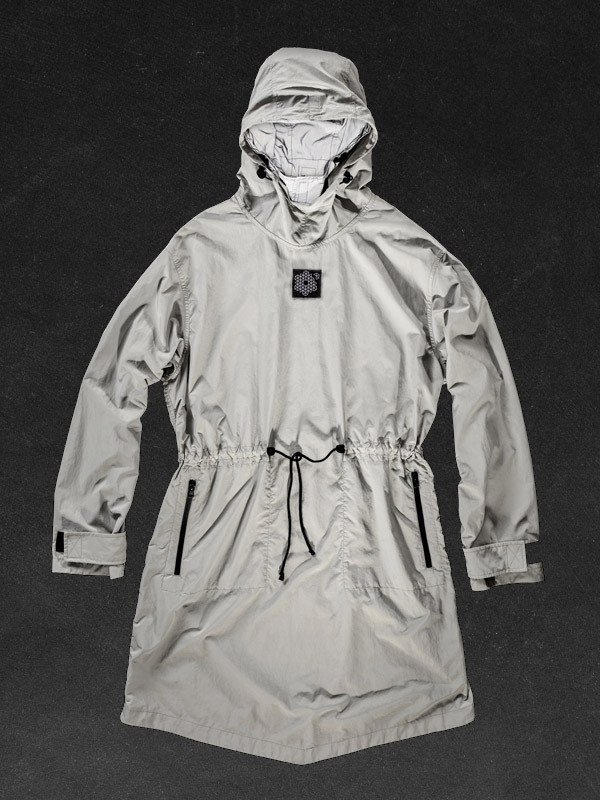 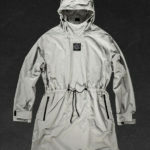 Made of light waterproof micro-ripstop Nylon with crinkle effect, the S09_1X guarantees full protection from heavy rain. 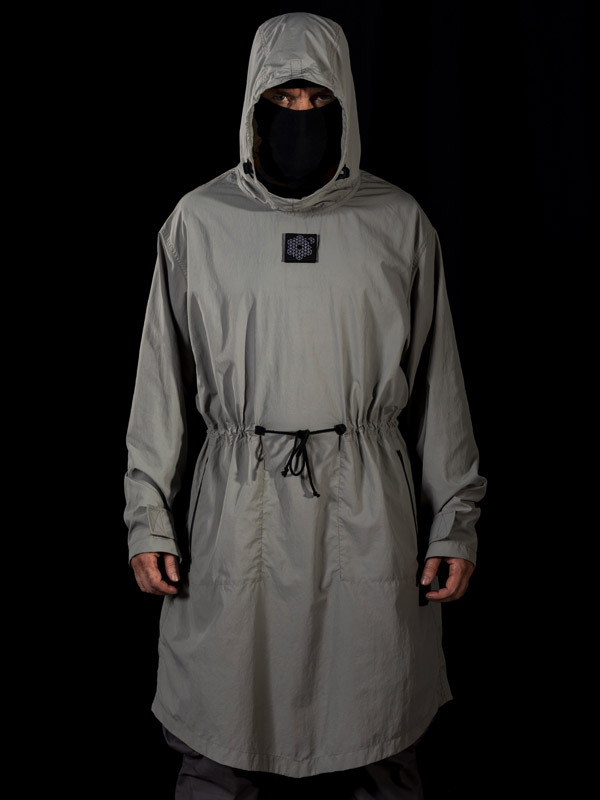 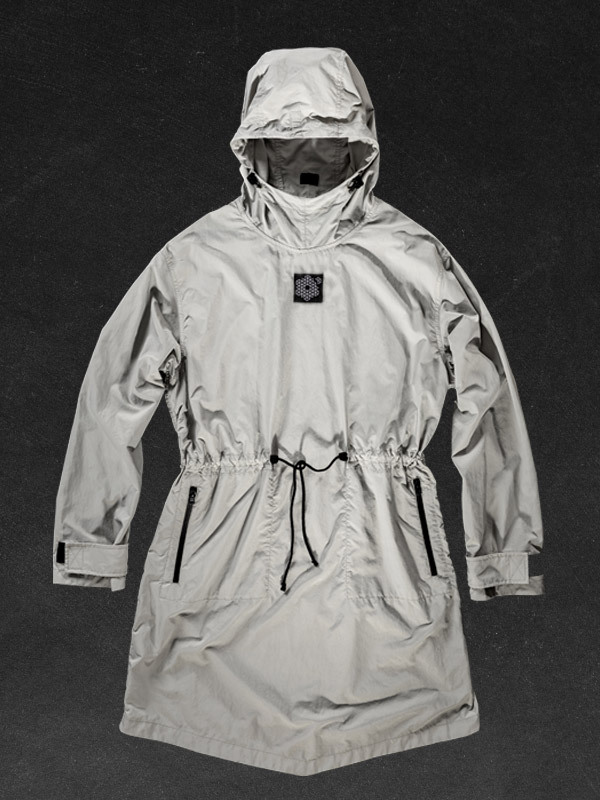 The garment is a mix between a military poncho and a Parka, featuring two zipped pockets, drawstrings at waist and adjustable cuffs (via Velcro) and hood. 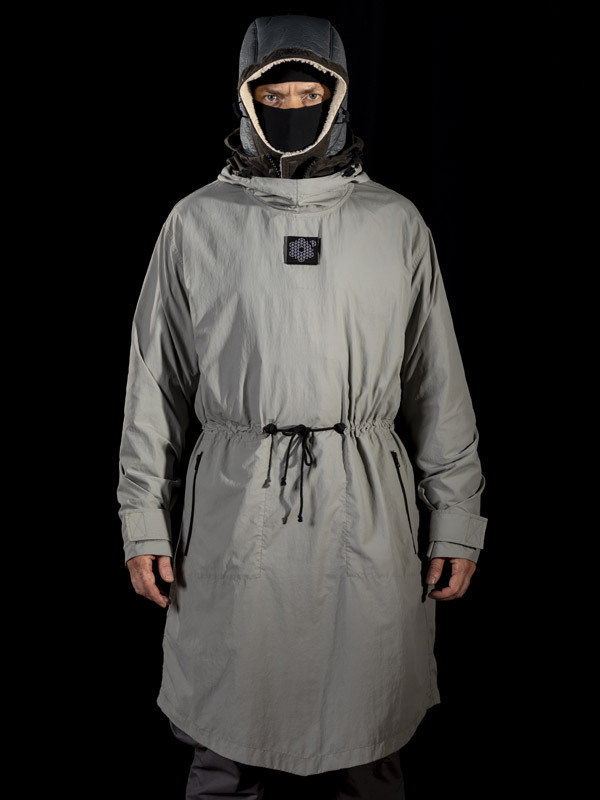 The secondary reflective hood from the NO_S09_1C goose down jacket can be attached to the inside of the main hood.